If you’re experiencing heel or foot pain in Sugar Land , then your podiatrist may inform you that you’re suffering from Achilles tendinitis or tendinosis. 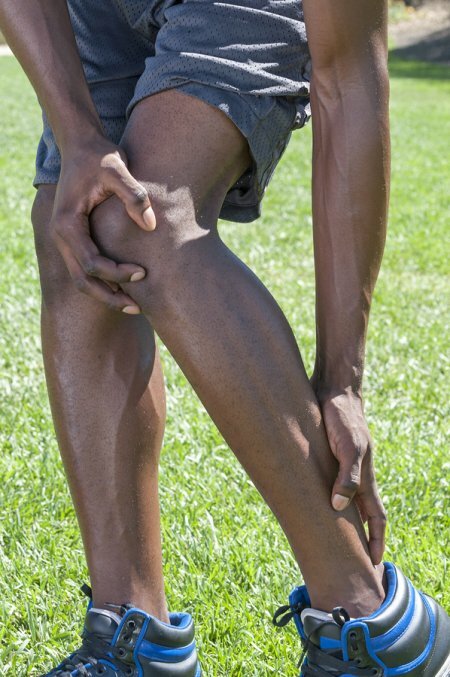 Patients who have either of these 2 conditions typically suffer from soreness, stiffness, pain, aching, or tenderness in the tendon, which connects the heel bone to the calf muscle. Achilles tendinitis refers to short-term inflammation in the tendon, while Achilles tendinosis can involve tears in and degeneration of the tendon. If you’ve been diagnosed with an Achilles tendon problem, then the treatment recommended by your podiatrist can depend on how long you’ve experienced symptoms and the severity of your condition. Some common treatments for a painful Achilles tendon include non-steroidal anti-inflammatory medications to address the pain, ice to reduce inflammation and swelling, immobilization to promote healing, physical therapy for strengthening, and the use of foot orthotics to relieve stress from the tendon. When non-invasive treatments fail to provide a patient with relief, then they may be referred to a foot surgeon for surgery. Toenail fungus is a common foot problem for people with diabetes. If you develop an infection, it is important to see a foot doctor for toenail fungus removal near Sugar Land as soon as possible to prevent the fungus from spreading. Watch this video to learn how diabetes increases the chances of developing toenail fungus. Because diabetes frequently causes nerve damage, you may not be aware when you injure your toenail. Such an injury can create an opening for fungus, allowing an infection to take hold. Without treatment from a foot doctor, the infection can spread beyond the nail to the foot. In turn, that infection can cause cracks in the skin that allow bacteria to enter, causing a secondary infection that must be treated by a foot and ankle specialist. A lot of fungal problems develop when you do not pay attention to the hygiene of your feet. Whenever you shower, you should spend some time cleaning and scrubbing your feet and dry them well when you are finished. If your shoes and socks get wet, you should change them so fungal organisms do not have a chance to grow. You should occasionally glance at your feet to make sure they look normal. Check out the heels and the areas in between your toes to see if you notice any scaling or peeling that might be a sign of a condition like athlete’s foot. Pay attention to your toenails to see if you notice any discoloration. If you do not properly cut your toenails, you could be at risk for conditions like ingrown toenails. It is important to use a nail clipper and to cut the nail straight across. Do not cut the nails too short or round out the corners. 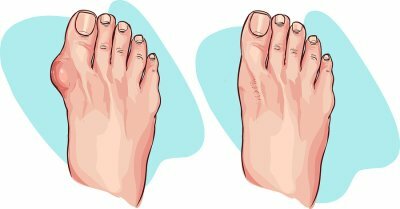 If you are unsure about how to properly cut your toenails, you can schedule an appointment with your podiatrist to learn the right technique. Whenever you walk through a public area, you should have some kind of protection on your feet. Bring shower shoes to the gym or a dorm so you do not come into contact with harmful bacteria or fungi that might cause uncomfortable infections. You should also wear shoes when you walk through locker rooms or around public pools. Avoid sharing footwear or you could inadvertently spread fungal infections. Ill-fitting footwear can do a lot of damage to your feet and might lead to long-term problems like bunions. It is very important to take the time to find shoes that fit properly. Make sure there is plenty of room for your toes and that the heel provides support. Toenails are designed to protect the toes from injury and impact. However, toenails can become loose for many reasons. This condition often affects runners, tennis players, and other athletes. If you have a loose toenail, cut the nail back to avoid catching it on your footwear. The toe can also be bandaged to keep the nail in place. Check out this video to learn more about the causes and treatments of a loose toenail. Healthy feet are essential for a healthy body. If you have foot pain, toenail problems, or other foot concerns, contact your podiatrist at Advanced Foot & Ankle Specialists by calling (281) 242-3338. Our Sugar Land podiatry practice offers comprehensive foot care, including minimally-invasive treatments.